Lord Budha reveals the truth of life and here is an opportunity to discover the same in your discover Life Buddhist circuit Tour. 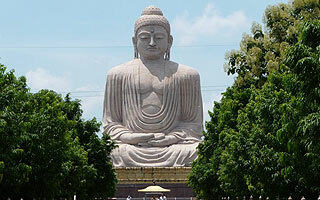 This tour covers all the major places related to the different life event of Gautam Budhha. You will visit Sarnath where lord Budha gave his first sermon, Bodhgaya-he attains enlightenment there, Lumbni the place where he born and Kushinagar the site of Mahaparinirvana. Along with all these you will explore several other places related to Budhha's life like Nalanda, Rajgir etc. 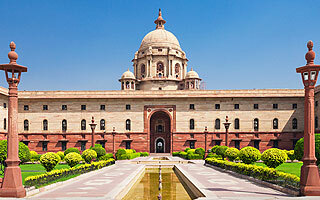 On the arrival at Delhi, you will be welcomed by our tour representative at Airport. Check-in to the hotel and relax. Delhi is the land of history and culture. In the metropolitan city you will experience mosaic fashion of art and culture. Monuments constructed in every nook and corner of the region are elegantly beautiful and very attractive. Visit to its magnificent historical sites and experience the golden erstwhile era. After breakfast, check-out from the hotel and transfer to the airport by our representative to take flight towards Varanasi town. On the arrival at Varanasi, transfer to the hotel from airport and then check-in to the hotel. Later you will take for a ride to Sarnath. The picturesque Sarnath is situated at a drive of 10 kilometres from the Varanasi town. 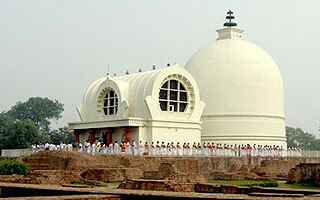 Sarnath is the sacred place for Buddhism. The religious place was the first destination where Lord Buddha attains his 1st sermon to the five divine men. Here you will visit Dhamekh Stup which is 100 feet tall. Next to Archaeological Museum and later on you will visit Ashok Pillar with four Lions. In the destination you will be delighted by the images, sculptures and other structural buildings constructed in magnificent architectural style. Back to the hotel and overnight stay. Religious Varanasi town is sandwiched between two picturesque rivers namely Ashi and Varuna. These two rivers join the Ganges which is one of the most religious rivers. The town is dotted with multiple places of worship. One of the most temples in the region is Kasi Vishwanath Temple. Thousands of devotees arrived here to offer prayer to have blissful life. The scenic location with its gorgeous temples magnetizes the attention of visitors. Early morning you will take to enjoy entertaining boat ride as a part of your pilgrimage. You will enjoy boat ride from one sacred ghat to another sacred ghat. Devotees take bath in the ghat in the morning and offer prayers to the rising sun. The two most famous ghats you will witness and experience are Manikarnika and Harishchandra. 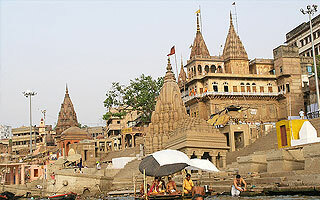 Varanasi is one of the oldest living cities in the world. Experience the religious and spiritual values of Hindus by visiting the sacred worship places in the town. Apart from these religious temples you will also visit to Banaras Hindu University which is one of the top Universities in the world. The Art Gallery and the Mosque of Aurangazeb are worth to visit in the complex of University. Back to the hotel in the evening and get ready for check-out from the hotel. Later, drive towards the city of Bodhgaya. On the arrival at Bodhgaya, check-in to the hotel. Sacred Bodhgaya is visited by scores of devotees from various places. You will witness here giant Bodhi Tree. Beneath this tree Gautama attained superlative knowledge to become Lord Buddha. In the region one of the religious temples is the gorgeous Mahabodhi Temple. Discover the destination with great enthusiasm. After morning breakfast, get ready to visit Mahabodhi Temple. Visit Bodhi Tree, Mahabodhi Temple and other Chinese Temples in the religious site. You will also explore sacred Niranjana Temple and the religious river in the afternoon. After morning breakfast, check-out from the hotel and drive towards Patna. En-route you will explore eye-catching Rajgir and Nalanda. People believed that Nalanda is the oldest university in the world. The destination was established during the 5th Century B.C and now become renowned destination for Buddhist and Jain learning. There are many centres and museums in the location where; you can witness and experience the literature of then times. Visit each site and discover the richness of the destination. After morning breakfast get ready for Patna Sightseeing. Places of tourist interest in the city of Patna are Har Mandir, Takht Har Mandir, Golghar and Jalan Museum. The Jalan Museum is amazing and has collection of rare images and sculptures. You will also witness beautiful silver and jade filigree work that back to the Mughal period. View Mithilal Paintings in the Bihar Institute of Handicraft and Design. After morning breakfast, check-out from the hotel and drive towards Kushinagar. En-route you will visit Vaishali. Explore the rich history of Vaishali by visiting its famous places. Vaishali was the sacred place where Lord Buddha attained his last sermon. The place also mentioned in the epic of Ramayana. 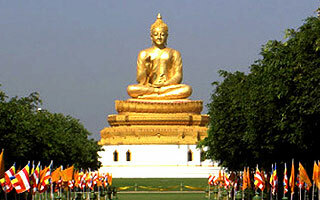 Kushinagar is the famous place of Buddhist Pilgrimage. The destination is overflow with devotees from various geographical regions. The Nirvana Temple is the main site where pilgrimage offers prayer. The temple houses many sculptures, images and paintings of Lord Buddha. These incredible features magnetize the attention of visitors all the times. The sacred twon is under the protection of Archaeological Department. After morning breakfast, get ready for Kushinagar sightseeing. First you will visit to Kushinagar Nirvana Stupa. The magnificent Stupa was exposed in the year 1867 by Carlleyl. You will also witness Buddha Statue (6 metres long) in the complex of the Nirvana Temple. After morning breakfast, check-out from the hotel and drive towards Sravasti. En-route you will visit Lumbini. Lumbini is the birth place of Lord Buddha. The sacred site is located at the picturesque foothills of the Himalayas. To offer hassle free visit to Buddhist devotees with the support of International Organization developed the sacred site as one of the Supreme Buddhist Pilgrimage. You will attain peace in the lap of such scenic location. Monasteries and other shrines located in the site are constructed with incomparable architectural design. Back to the hotel and overnight stay. You will also visit one of the eight religious pilgrimages of Buddhists – Sravasti. In and around the twon constructed numerous temples and here you will offer to have a blissful life. After morning breakfast, you will take for excursion to Sahet and Mahet. Sahet & Mahet is a beautiful site located at a drive of 15 kilometres from Balrampur. Sravasti is an amazing place which has the special honour for sheltering Lord Budha for 24 rainy seasons. The exact place is known as Jetvana Vihar. The most attractive site in the region is Anand Bodhi Tree. Here also located old stupas and other eye-catching monasteries. Lucknow is the most popular city where you can experience the royal Nawabi Culture. Every nook and corner of the location symbolizes the rich era of the Nawabi. Explore the capital city of Uttar Pradesh and make the visit an adorable experience. After breakfast, get ready for Lucknow sightseeing. The city is amazing in all aspects. First you will visit Bara Imambara which was constructed in 1784 by the Champion of Charity. In the complex there is also Clock Tower and other structural buildings. Next, visit to Jama Masjid. Back to the hotel and check-out from the hotel. Now, our tour representative will transfer you to airport. From the airport, you can board on to the flight towards Delhi. Tour ends here and hopes that you have a great holiday experience.